This is the time of year that I like to get out and shoot early morning pictures. The reason is that sunrise is not too early and it is warmer than in December. Saturday morning I decided to make a quick trip to the Swan Falls Dam on the Snake river in Idaho. I got there just in time for the blue hour. 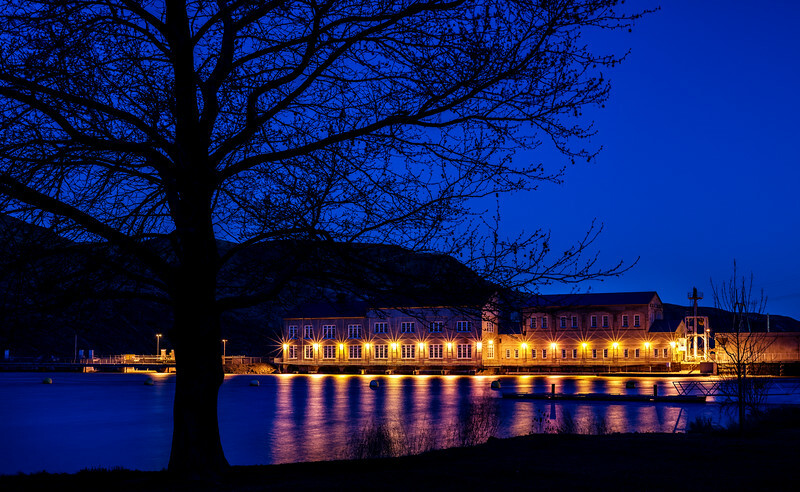 I was hoping to get a nice deep blue sky because I thought it might compliment the yellow lights on the Dam. The Swan Falls Dam is also a beautiful piece of architecture. I am actually standing in a park for this shot. Before I left the Dam people were already showing up to spend the day there. It was really nice, warm and not too windy.